Right-to-work policies have spread like wildfire across the country in recent years, but the latest movement is happening at the local level. It started in Kentucky, and then localities in Delaware and Illinois took note. Now, New Mexico is the latest to champion workplace freedom at the local level. On April 12, Otero County – home to Holloman Air Force Base and a large portion of White Sands Missile Range – voted to pass right-to-work, putting workers and job creators ahead of forced unionism. It follows Sandoval County – situated next to Albuquerque, New Mexico’s largest city – which was the first in the state to pass a local right-to-work law in January. Right-to-work simply means unions cannot get workers fired for not paying them, and over half the country protects workers in this way. In New Mexico, local laws like those passed in Sandoval and Otero counties apply only to private-sector workers, meaning government employees may still be forced to pay unions in order to keep their jobs. Why the recent interest in right-to-work? For starters, this policy is strongly associated with faster job growth and stronger overall economic performance. The path for states to pass such laws, as 28 of them have done, is well worn. But in December 2014, Warren County, Kentucky started a new trend when it became the first county in America to adopt right-to-work. 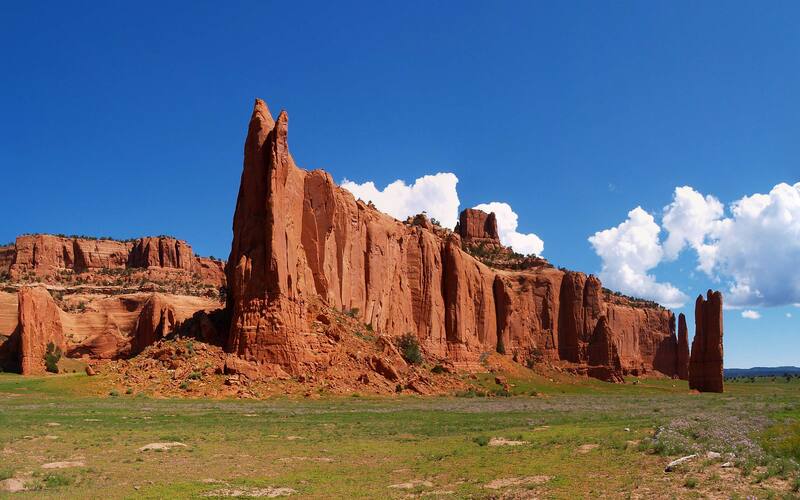 New Mexico may be the Land of Enchantment, but it has never been the most prosperous state. Even in the best of times, our state is regularly near the very bottom in national economic rankings. Since the Great Recession, the Pew Center finds that New Mexico has seen a greater decline in employment among 25-54 year olds than any other state, and an analysis of Bureau of Labor Statistics data shows we are one of three states that have fewer non-farm jobs today than we did on the Recession’s eve. New Mexico’s legislature, dominated by Democrats since the 1920s, has expressed little willingness to address the deep economic challenges head-on. Gov. Susana Martinez, a Republican, pushed for pro-growth policies like right-to-work but to no avail; this reform and others were repeatedly rejected in the hostile legislature. With the state still in an economic slump and facing the second-highest unemployment rate in the nation, the mantle of economic leadership has fallen to local government leaders. In Kentucky, over a dozen counties eventually enacted right-to-work policies, and the federal 6th Circuit Court of Appeals upheld county-level right-to-work laws in November 2016 after unions sued. With that legal opinion in hand, two county commissioners, Jay Block and Dave Heil, decided it was time to bring right-to-work to Sandoval County in mid-2017. Not to be overshadowed by neighboring Albuquerque, Sandoval’s largest city, Rio Rancho, is a major business center and home to an Intel chip manufacturing facility. Now, with a second county following suit, there’s renewed hope for New Mexico’s long-stagnant economy. Kentucky can be the model for New Mexico. It has also long been a poor, economically challenged state (and a state long-dominated by Democrats), but a state that has taken brave steps in recent years to position itself for a better future. After right-to-work spread through its localities, the entire state passed the law in early 2017. New Mexico has a long way to go before it is competitive with its faster-growing and economically-dynamic neighbors. But it must start somewhere, and local officials are now leading the way.